EXPLORE-NFC is a high performance full NFC expansion board for the Raspberry Pi. Based on the NXP PN512 solution, EXPLORE-NFC meets compliance with Reader mode, P2P mode and Card emulation standards. 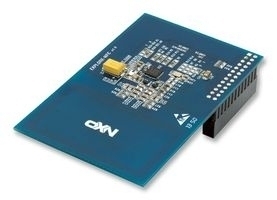 The board features an integrated high performance antenna, is supported by libnfc and offers a flexible SPI interface.